As a home studio producer, your digital audio workstation software, more commonly known as a DAW, is a crucial aspect of your setup. The concept of DAW originated way back in the 1990’s along with the evolution of home recording. It allowed the home recording musician, beginners included, a virtual studio residing inside of one’s computer. There has been much controversy and discussions regarding which one an individual should choose especially with the extensive range of available options. This is stressed even further when choosing the best DAW to start with. As the central hub of your recording studio, your DAW is where all the recordings come together to form the completed track you’ve been dreaming of. Whether you’re handling recorded instruments, electronic beats, or even plain spoken audio, a good digital audio workstation is essential to ensuring that everything is properly mixed and sounds exactly as it should. If you are a musician you will need a good DAW to be able to create compelling music. Check below for some of the best options. 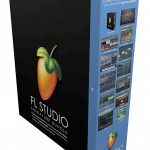 FL Studio By Image Line is a simple yet interactive music recording software available for both Mac and Windows platforms. Suitable for beginners, the software has some basic tools to offer. Originally known as Fruity Loops, the platform is now over twenty years old. It has gone through several updates over the years and offers a bunch of features today but without compromising on the ease it is known for. It offers melody sequencing, multi-touch feature for smooth accessing, fast beat, 4K support, multi-touch and multi-monitor capabilities, MIDI creation tools, piano roll, and sequencing. These features let you edit, mix, and record songs as you desire. Tracks need to be manually assigned to mixer channels. 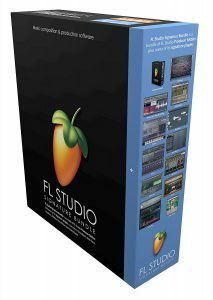 Verdict: FL Studio was initially made for beginners, but it has gone through several updates over the years. If you’re just starting out, we suggest you opt for the Producer version. For experienced artists, All Plugins version is the better option. Ableton is a creative digital workstation that’s highly stable, easy to use, and interactive as well. 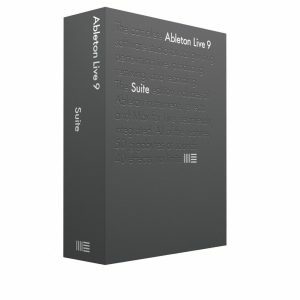 The latest version of the tool, Ableton Live 10 lets you do a lot of things with features such as a resizeable interface, wavetable synthesizer, multiple clip editing, updated effects, better push integration, and more. The standard version is ideal for beginners as it offers around 1800 sounds and 8 MIDI effects. You can try the trial version at no charge. Pitch correction tool is missing. Verdict: Ableton is excellent software for recording and creating music. It’s also suitable for live performances due to its rich features. However, it’s a little pricey. With the most recent version of Pro Tools, you can edit, compose, mix, record and sequence music. It offers many useful features such as loop track comping, MIDI editor to edit MIDI files, offline bounce, quick punch, track presets, score editor, elastic pitch and time. The advance version of the tool also offers cloud collaboration, Clip FX and other such features. The interface of this DAW is quite simple which is a great plus for beginners. Commit options (Pro Tools & Ultimate Version only). 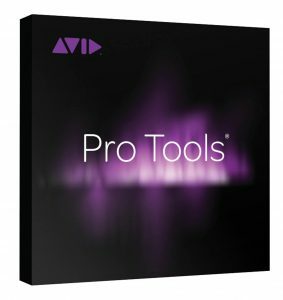 Verdict: Pro Tools By Avid is a powerful tool but among the most expensive ones. Standalone software (Perpetual) costs over $2000 with several hundred more for annual upgrades and support. Reason by Propellerhead is a well known DAW which recently releases three updates. The updates include two new synthesizers, physical modeling piano, hybrid sample, 3.7 GB worth of sample material including one-shots, and loops. The highlight of this software is the shapeshifting synthesizer called Europa that offers 14 primary tables and many synthesizing techniques. Thor Polysonic Synthesizer, NN-XT Advanced Sampler, NN-19 Sampler, and Kong Drum Designer are some other cool features of this DAW. The interface is a breeze to control as users can drag effects and instruments from the browser to the rack. You can also enjoy working on the multi-track sequence to mix and edit music. You can enjoy a 30-day trial at no cost before buying the full version that will run you under 500 hundred dollars. 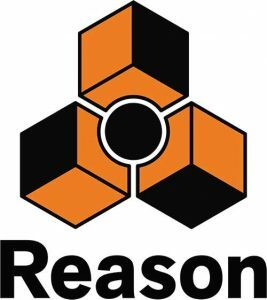 Verdict: Reason 10 is an excellent fit for beginners as it offers a bundle of features and is still very easy to use. 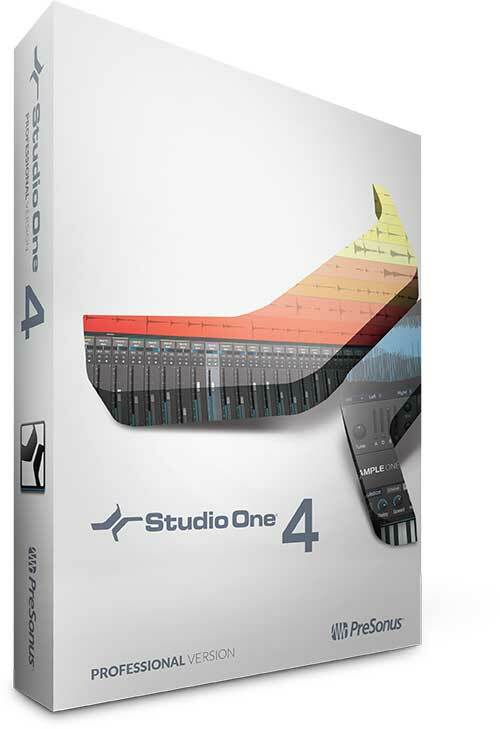 Presonus released the first edition of Studio One in 2009. Throughout 9 years, the software has been updated several times and is much loved today. The highlight of the software is its ability to correct pitch and time with Melodyne Essential 4. Other than that, the drag and drop feature is also a plus for beginners. However, one must purchase the full version to gain full access to Melodyne essential 4 features. Verdict: The Prime version is suitable for beginners as it offers all the necessary music recording features for $0 cost. Advanced users can try other versions. When searching for a DAW for your home recording studio, it’s easy to think, “I’ll just get whichever one is best.” The catch, however, is that there is no one single DAW that rises above all the rest in every category. Instead, different pieces of software are designed to meet different needs and specialize in different areas. As a result, finding the perfect DAW is largely dependent on what exactly you plan to do with it. As a general rule, pretty much every DAW available on the market will perform the same basic functions. However, many programs specialize in particular areas. Some work best for specific genres, such as EDM or musical scores. Others make it easier to control MIDI manipulation or mix the variety of sounds on live tracks. In short, all DAWs have their own strengths and weaknesses, so the best way to find one that works for you is to ask yourself a few questions about your work and your goals. What genre(s) of music are you producing? Do you specialize in one or do you work with a wide array of tracks? Will you spend the majority of your time composing, recording, or mixing? Or do you plan to do all three equally? How much previous experience do you have with DAWs and producing in general? Do you need to start with something straightforward to learn the basics, or are you confident enough to dive right in? What is your DAW budget? Do you have enough saved away to get any software you want, or is cost a major deciding factor? Regardless of your answers, your best bet is to pick a single DAW and stick with it. Jumping back and forth in hopes of finding which one you like best may seem like a good idea at first, but there’s a decent chance that it’ll hurt you in the long run. The more you switch, the less opportunity you get to learn the ins and outs of a single DAW, meaning it will be that much harder to master a specific program’s intricacies. Once you have sorted out the basics of your producing goals, it’s time to ask yourself a few questions concerning workflow. In essence, workflow is how you specifically produce and arrange an overall track. If you are just starting out, you probably don’t know exactly what your workflow will be because you haven’t yet had the opportunity to discover it. But the more time you spend in the studio, the more you’ll get a feel for exactly how you prefer to do things. Are you recording instruments and vocals, or electronic beats? Are you producing audio that is often heavy on the low end, such as bass music or hip hop? Are you working purely with studio recordings, or will you tackle live tracks as well? How much control over mangling and manipulating audio do you want to have? Are you producing for other artists, or just for your own music? If you know anything at all about computers, you know how big of a rift there can be between Macs and PCs. Many prefer one while many prefer the other, and DAW companies are no exception. There are several DAWs that will only work on one operating system or the other, but the ideal program will be one that is compatible across both MacOS and Windows, as well as less-used software such as Linux. While you certainly don’t have to choose a DAW that works with anything beyond your own computer, finding one that is cross-compatible with several different operating systems will make it that much easier to collaborate with other producers, no matter what systems they are using. At the very least, always make sure that the DAW you select is compatible with your own computer. While this may seem obvious, be sure to keep in mind any future plans for changing or upgrading your studio. For example, there’s no sense in buying a Windows-only DAW if you know you are planning to switch to a Mac in a few months once you have saved up the money. Instead, either wait to buy a Mac-compatible DAW or look for software that is cross-compatible to cover all your bases. 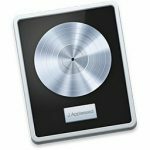 What are the Options to purchase a DAW? Digital Version: This is perhaps the best option for beginners as you can download the software and get going right away. Included Version: This is where the software is included in the cost along with specific gear or interfaces. If you are looking to save, then this option is definitely an alternative worth checking out as you get an interface as well as the virtual workstation at the cost of one. Boxed Version: This option actually sends the DAW software to your door step. Which mean you must be patience until it arrives. Installing the software is pretty straightforward unless you purchase a program with a dongle. Some beginners get tripped up by this step. To unlock the software you download your license and store it in a USB dongle. This dongle must be plugged in whenever you need to use the software. This is fine until you want to travel. Misplacing or leaving a dongle in hotel room kind of puts a plug into the old creative juices. The dongle is good for the industry to protect from piracy however they can be a bit of hassle if you’re not using a stationary desktop. 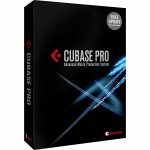 Countless gung-ho new producers dream of getting the top-of-the-line music software for their studios, but in most cases, it is acceptable and even beneficial to begin with a free DAW. 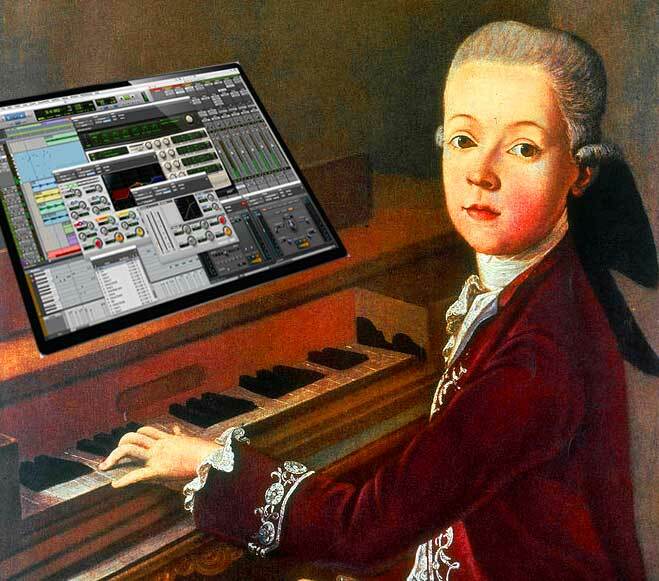 Many of today’s top music producers began that way, and it’s easy to see why. By starting with something simpler, you can ease yourself into the complex world of producing, as free basic DAWs often have fewer specialty features than their paid counterparts. Be aware their functionalities are limited. Virtually all DAWs have some sort of version that won’t cost you a penny so that you can test drive, if for no other reason than to see which brand of software you prefer. 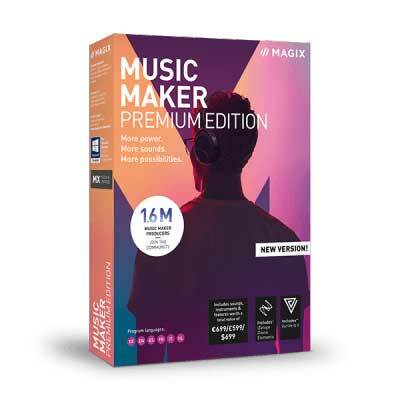 Another alternative is to buy the limited version of some of the premium DAW software. These limited versions exist so small home studios can have the luxury of using the best DAW as well. The costs go down drastically as compared to the full versions but at the same time the features offered by these limited editions are fairly close to the licensed editions. The restricted features are generally used only by advanced sound engineers and as a beginner not an area you have to concentrate on. Purchasing a limited version doesn’t mean you’re committed to that type of license. Later on, if you need the features that are restricted in the limited editions, you upgrade to a fully licensed version. That said, there is nothing wrong with jumping straight to a fully licensed paid DAW, especially if you already have producing experience and know exactly where you want to go professionally. Even if you begin with a free version, it is always a good idea to plan ahead and start thinking about which full DAW you would like to get one day. As with most software, DAWs change faster than most people can keep up with. As technology continues to develop, many companies release a new version every year in order to showcase the latest and greatest that modern software has to offer. Others change their programs to cater more to evolving musical tastes in order to appeal more to a specific market. On one hand, keeping on top of the latest software is a great way to keep your producing skills honed, but in the other, buying a new DAW every year can quickly drain any budget. That’s where lifetime access comes in. In order to win their customers’ loyalty, some DAW companies have begun offering lifetime access where you buy the initial software and then receive all future updates at no charge to you. If you plan on sticking with the producing path for quite some time, this is an excellent way to keep your software up to date without breaking the bank. 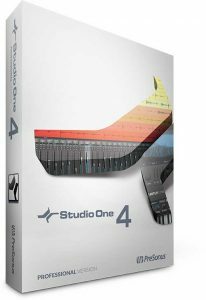 While you may have to save up a little more to make the initial purchase, committing to a DAW with lifetime access can save you major cash in the long run. Regardless of your producing specialty or skill level, make sure you take the time to research which DAW is best for your specific needs. We have an ongoing list of DAWS that you can start with. If you are not sure where to begin, start by downloading a few free trials and seeing which ones feel the most natural for your individual style. Once you’ve zeroed in one that works for you, you’ll be on your way to producing in no time. Remember learning to use any DAW for a novice can be intimidating or feel difficult and complicated. The newbie music producer can be completely overwhelmed by all the features the software provides as well as the daunting task of understanding basic music concepts. The best way to get over that is to start using your music production software as much as possible, and as you learn the understanding of basic terms and functions, it can begin to feel much simpler. It comes down to recognition and comfort. Recognition and comfort come from practice and each time you work on a piece, making your music you can’t help but get better. TIP: Start small and simple and get hands-on experience. It’s also essential not to sit down with the intention of creating a hit song or intricate musical masterpiece first time out. Instead, begin with small steps like recording a voice or sequencing a measure of the piano. Let your desire for the end result take you where you need to go. Never be tough on yourself for not knowing as all must start from the beginning. 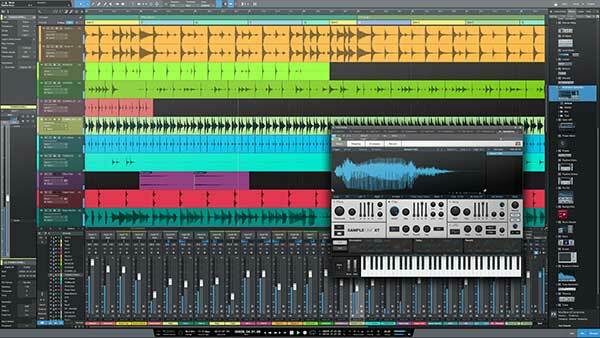 There are several goals to mastering a DAW to produce music. The functionality and technical aspect of the program and the basic principles of sound engineering and sound in general. The Digital Audio Workstation (DAW), is the piece of software that stores and organizes all the assets of a musical project to create professional recordings. It provides the editing tools that are essential in music production. 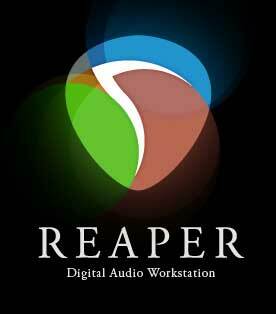 Industry standard DAWS are provided above. The music production process includes recording, editing, and mixing and with the introduction of high-quality-low-cost software and hardware, the masses can create contemporary music on their computers. Technical aspects of music production include how the sound translates into an audio signal, types of techniques used in recording, and effects such as delay, reverb and compression. Like any piece of software begin with the basics and become comfortable with menus, plug-ins, where your files are saved. Try every tool and figure out the functionality and purpose of everything. Twiddle the knobs, click the buttons, and take a peek at the effects. Learn how to navigate between all the different functions, and memorize the hotkeys. Knowing keyboard shortcuts allows you to work fast and efficient. And there are hundreds of shortcuts. This will let you ignore the DAW itself and put all your effort on the music.